Every now and then, legendary filmmaker George Lucas uses his vast wealth to purchase airtime to show the world homemade commercials advertising Speed Stick deodorant. George Lucas never asks Speed Stick if it’s okay for him to air these commercials, and every time it happens, the company needs to beg George Lucas to stop. 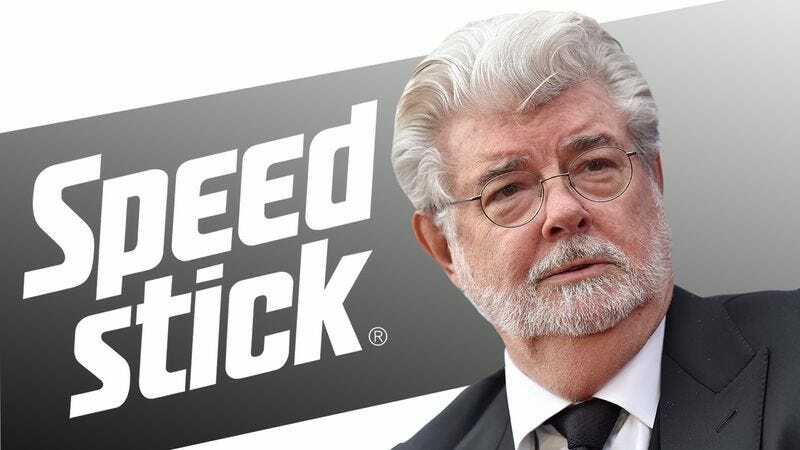 Here are five of the most unforgettable times Speed Stick had to ask George Lucas to stop independently airing commercials for its product. 2. The time George Lucas told TV viewers to rub Speed Stick on their rotten food to mask its stink while they ate it. 3. The time that George Lucas claimed he invented Speed Stick. 4. The time George Lucas said you could just take Speed Stick without paying for it. Then C-3PO said, “It hurts to go to the bathroom. I love to go to the bathroom.” Then he and George Lucas turned around and walked back into the woods. 5. The time George Lucas claimed that Speed Stick attracted stray dogs.